I finally received my Priceline cash back voucher from September and I thought that I might buy some new nail colours because I’ve been wanting to try something different. I’d been eye-ing off this collection for a while and I always liked the colours but I never bought anything. Priceline had a buy two get one free deal on the nail polish so I bought three of the six shades. These colours are perfect for summer and spring or any time you feel like brightening up an outfit! I never wear yellow nail polish because I don’t think that it really suits my skin very well however I loved this pastel yellow and I thought I’d give it a go. 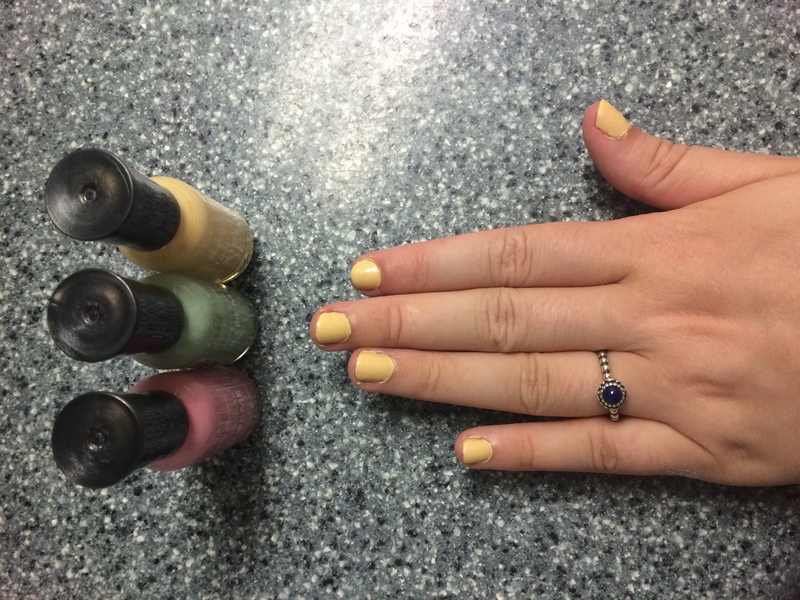 The yellow nail polish formula is actually the worst out of the colours that I purchased, its a bit thinner and you definitely need more than one coat to get the full opacity. I used three coats for my colour but it could have been fine with two. I do like the colour on me, which really is a bonus haha. Both the green and pink colours have a nice consistency, both opaque and they aren’t streaky. All of these nail polishes have a great wear time and I still haven’t had them chip on me and I put this on my nails a week ago. I’ve always found that Sally Hansen nail polish has lasted best on me, compared to other drugstore nail polishes. I love the brand dearly and will recommend them to everyone because they are a great price for the quality and they’re almost always on sale! If you can still find this collection, I would recommend it. The colours are fun and cute and perfectly match the weather in Australia right now haha. They’re really glossy and last a long time. « Review: Me Now Long Lasting Lip Gloss + swatches! I never knew Sally Hansen made pastels! So gorgeous… will definitely be trying these!